Google recently said that mobile search volume could exceed desktop search volume by the end of 2014. Don't panic, though; there's quite a bit more nuance to the trend than most people realize. 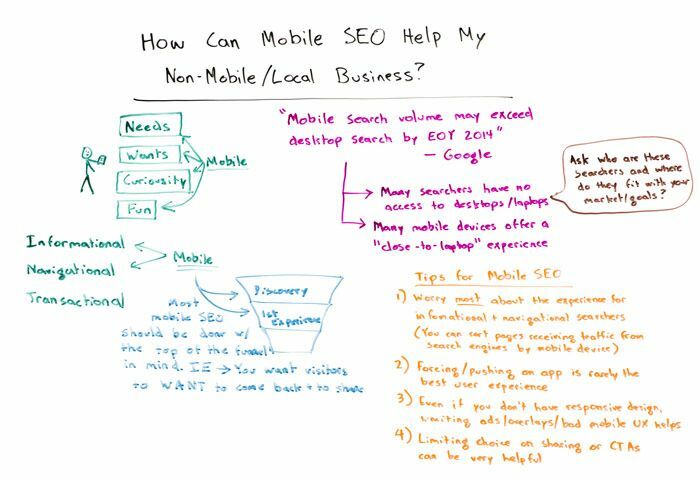 In today's Whiteboard Friday, Rand helps us understand that nuance, and talks about how we can level-up our mobile game in ways that will benefit our businesses regardless of whether and when Google's forecast comes true.